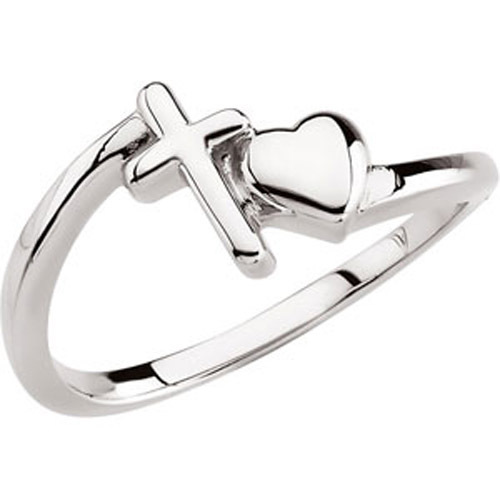 Desc: Sterling Silver cross and heart ring. The cross is mounted at the apex of the ring at an angle. The heart is mounted at the side of the cross. The ring has a bright polish finish.